Well-known in his own day as a contributor of humorous sketches to the popular magazines, Ellis Parker Butler (1869-1937) is today best remembered for the single story "Pigs is Pigs." A number of his works, including the boys' books Swatty and Jibby Jones and his novel Dominie Dean, have their setting in his hometown of Muscatine, Iowa. In Muscatine he worked in a spice mill, a china store, and a wholesale grocery before going to New York City in 1897, where he worked successively for three trade papers, the Tailor's Review, the Wall Paper News, and The Decorative Furnisher. With the phenomenal success of "Pigs is Pigs," which in book form probably sold a million copies, Mr. Butler gave up editing trade papers and turned to full-time authorship. Many of his books are collections of short magazine pieces. Among the uncollected items are early poems which appeared in the Midland Monthly, Judge, Puck, Life, and Truth, and there is a late story, "The Tuckle Beard," in Story (May 1935). A convenient listing of early stories is in F. J. Hannigan's The Standard Index of Short Stories 1900-1914; successive volumes of The Readers' Guide should be consulted for later stories. Butler's interest in fishing is reflected in such sketches as "Hincmar the Peacemaker" and "The Reformation of Uncle Billy" (Which Grover Cleveland reportedly considered the best fishing story he had ever read); and his interest in stamp collecting (he specialized in the stamps of Luxemburg) resulted in at least one book. An autobiographical sketch appears in Kunitz's Authors Today and Yesterday (1934), and there are autobiographical remarks in T. L. Masson's Our American Humorists, 1922, pp. 74-79, and in an interview reported by Louise Guyol in the book section of the Boston Evening Transcript, May 1, 1926. 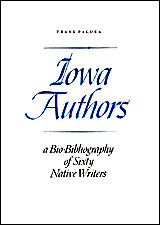 There is an essay by Frank Luther Mott in A Book of Iowa Authors, ed. Johnson Brigham (1930), and an article by Fred Lorch in the Winter 1964 issue of The Iowan magazine. The New York Public Library has two boxes of his papers. FRENCH DECORATIVE STYLES, FROM THE EARLIEST TIMES TO THE PRESENT DAY; A handbook for ready reference. By the editors of The Upholstery Dealer and Decorative Furnisher [Ellis Parker Butler and Brittain B. Wilson] New York: T. A. Cawthra and Company, 1904. PIGS IS PIGS. Illustrations by Will Crawford. New York: McClure, Phillips & Co., 1906. _____. London: Hodder & Stoughton, 1906. _____. In Downs, Robert B., ed. The Bear Went Over the Mountain: Tall Tales of American Animals. New York: The Macmillan Company, 1964. Pigs is pigs and other favorites. New York: Dover Publications, Inc., 1965. THE INCUBATOR BABY. Illustrations by May Wilson Preston. New York and London: Funk & Wagnalls Company, 1906. PERKINS OF PORTLAND; Perkins the Great. Illustrated. Boston: Herbert B. Turner & Co., 1906. _____. Boston: Small, Maynard & Co., 1906. _____. London: Hodder & Stoughton, 1907. The Adventure of the Lame and the Halt. Reprinted from Mr. Perkins of Portland. London: Hodder & Stoughton, 1932. Perkins of Portland. In Pigs is Pigs and Other Favorites, q.v., 1965. THE GREAT AMERICAN PIE COMPANY. Illustrated by Will Crawford. New York: McClure, Phillips & Co., 1907. _____. Garden City, New York: Doubleday, Page & Co., 1907. Reprinted in Pups and Pies, q.v., 1927. _____. New York: A. L. Burt Company, ca. 1928. _____. In Pigs is Pigs and other Favorites, q.v., 1965. THE CONFESSIONS OF A DADDY. With illustrations by Fanny Y. Cory. New York: The Century Co., 1907. KILO; Being the Love Story of Eliph' Hewlitt, Book Agent. [Illustrated] New York: The McClure Co., 1907. _____. Garden City, New York: Doubleday, Page & Co., 1907. _____. London: Hodder & Stoughton, 1908. THE CHEERFUL SMUGGLERS. With illustrations by May Wilson Preston. New York: The Century Company, 1908. THAT PUP. Illustrated [by Strothmann] New York: The McClure Company, 1908. _____. Garden City, New York: Doubleday, Page & Company, 1908. _____. London: Hodder & Stoughton, 1909. MIKE FLANNERY, On Duty and Off. Illustrations by Gustavus C. Widney. Garden City, New York: Doubleday, Page & Company, 1909. Reprinted in Pups and Pies, q.v., 1927. _____. New York: A. L. Burt Company, 1909. THE THIN SANTA CLAUS; The Chicken Yard That Was a Christmas Stocking. Illustrated by May Wilson Preston. Garden City, New York: Doubleday, Page & Company, 1909. Reprinted in Pups and Pies, q.v., 1927. THE WATER GOATS AND OTHER TROUBLES. Illustrations by Harrison Cady, Gustavus C. Widney and Irma Deremeaux. Garden City, New York: Doubleday, Page & Company, 1910. Reprinted in Pups and Pies, q.v., 1927. THE ADVENTURES OF A SUBURBANITE. Illustrations by A. B. Phelan. Garden City, New York: Doubleday, Page & Company, 1911. THE JACK-KNIFE MAN. Illustrated by Hanson Booth. New York: The Century Co., 1913. _____. New York: Grosset and Dunlap, 1920. RED HEAD AND WHISTLE BREECHES. New York: The Bancroft Company, 1915. DOMINIE DEAN; a novel. [Illustrated; with frontispiece] New York: Fleming H. Revell Company, 1917. PHILO GUBB, Correspondence-School Detective. With illustrations. Boston: Houghton Mifflin Company, 1918. GOAT-FEATHERS. Boston: Houghton Mifflin Company, 1919. SWATTY; A Story of Real Boys. With illustrations. Boston: Houghton Mifflin Company, 1920. _____. New York: Grosset and Dunlap, 1925. HOW IT FEELS TO BE FIFTY. Boston: Houghton Mifflin Company, 1920. MILLINGHAM'S CAT-FOOLER. Cambridge, Mass. : Boston Woven Hose and Rubber Co., 1920. I WISH I HAD NOT BEEN A WELL FROG. Chicago: Harris Trust & Savings Bank, n.d. (Reprinted from the American Magazine.) 20 p.
IN PAWN. With illustrations. Boston: Houghton Mifflin Co., 1921. Being a Short Tale, a Merry Fable, and a Couple of Morals. Illustrated by Tony Sarg. New York: J. H. Oliphant and Company, 1922. GHOSTS WHAT AIN'T. Boston: Houghton Mifflin Company, 1923. JIBBY JONES; A Story of Mississippi River Adventure for Boys. With illustrations by Arthur G. Dorr. Boston: Houghton Mifflin Company, 1923. JIBBY JONES AND THE ALLIGATOR; The Story of the Young Alligator-Hunters of the Upper Mississippi Valley. With illustrations by Arthur G. Dove. Boston: Houghton Mifflin Company, 1924. MANY HAPPY RETURNS OF THE DAY. Boston: Houghton Mifflin Company, 1925. THE BEHIND LEGS OF THE 'ORSE; And Other Stories. [Illustrated by Kleber Hall] Boston: Houghton Mifflin Company, 1927. DORNA; or, The Hillvale Affair. With illustrations. Boston: Houghton Mifflin Company, 1929. DOLLERATURE; or The Drug-Store Book. Boston: Houghton Mifflin Company, 1930. THE YOUNG STAMP COLLECTOR'S OWN BOOK. Illustrated. Indianapolis: The Bobbs-Merrill Company, 1933. JO ANN, TOMBOY. By Ellis Parker Butler and Louise Andrews Kent. With illustrations by Ruth King. Boston: Houghton Mifflin Company, 1933. HUNTING THE WOW. Illustrated by Thomas J. Fogarty. New York: Robert M. McBride & Company, 1934.